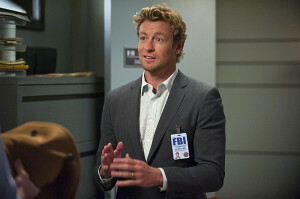 Tonight on The Mentalist: "Il Tavolo Bianco"
A new episode of The Mentalist airs tonight at 10PM on CBS. “Il Tavolo Bianco” – Jane’s freedom is at stake when a grand jury is empaneled to decide if he should be tried for the murder of Red John. Meanwhile, Lisbon tries to find out how Jane feels about the possibility of her leaving Austin with Agent Pike, and Cho and Abbott follow new leads in the human smuggling ring they recently uncovered, on THE MENTALIST, Sunday, May 4 (10:00-11:00 PM, ET/PT) on the CBS Television Network. ÃÂ¢ÃÂÃÂIl Tavolo BiancoÃÂ¢ÃÂÃÂ ÃÂ¢ÃÂÃÂ JaneÃÂ¢ÃÂÃÂs freedom is at stake when a grand jury is empanelled to decide if he should be tried for the murder of Red John. Meanwhile, Lisbon tries to find out how Jane feels about the possibility of her leaving Austin with Agent Pike, and Cho and Abbott follow new leads in the human smuggling ring they recently uncovered, on THE MENTALIST, Sunday, May 4 (10:00-11:00 PM, ET/PT) on the CBS Television Network. Pictured: Robin Tunney as Teresa Lisbon, Pedro Pascal as Marcus Pike. Photo: Colleen Hayes/Warner Bros. Entertainment Inc. ÃÂÃÂ© 2014 WBEI. All rights reserved.